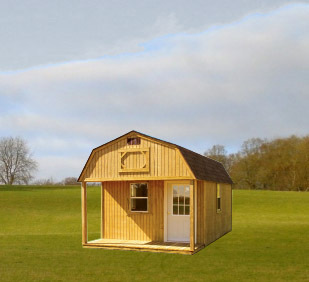 The Lofted Barn Cabin is available in 10' and 12' widths. It combines the best features of the lofted barn and cabin. All models feature a loft, a 9-lite door, three 2' x 3' windows, and a front porch. 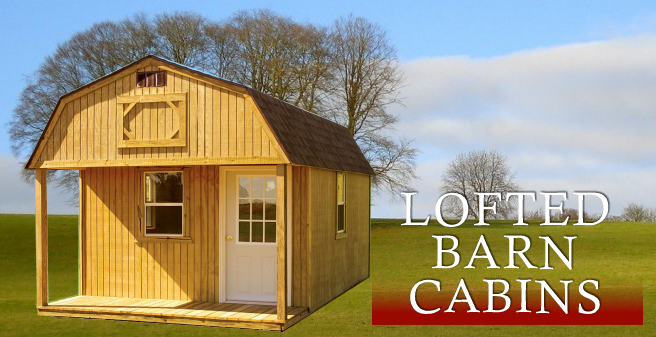 Lofted Barn Cabins can be used for oilfield housing or hunting lodges. A portable cabin is great for many reasons, but most of all - it's a portable cabin! You can contact us to have us move it and we will move it to your new lease or lakefront property.